Have you ever looked up at the ceiling in a gym and noticed acoustic panels hanging there? Can you remember the last time you visited a movie theater and saw elegant fabric-covered panels lining the walls? All of this has to do with acoustical science and improving the sound quality in a room. Acoustic baffles are especially important in large spaces where there’s plenty of room for sound waves to bounce around. Hanging acoustic panels from the ceiling also solves noise issues where there’s limited wall space. If you need acoustic ceiling baffles to reduce distracting noise and improve overall sound quality, whether it be for a large industrial space or a home entertainment room, we’ll help you get started. At Soundproof Cow, we have sound baffles for walls and ceilings in a variety of sizes to meet your needs. 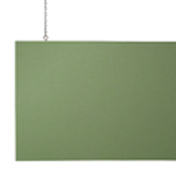 Simply said, hanging baffles are noise-absorbing panels meant to be suspended from the ceiling or hung on the wall. 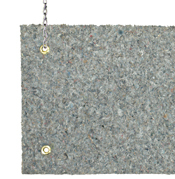 Hanging baffles might contain a fiberglass, foam or cotton core. The baffle may be wrapped in acoustic fabric or composed entirely of foam. Our larger baffles contain an aluminum frame to add structural strength. With many of our hanging baffles, you’ll have hundreds of acoustic fabric options to choose from. You might even supply a custom print so that you can create an acoustic panel that doubles as a work of art. All of Soundproof Cow’s hanging baffles have outstanding noise absorption capabilities, are lightweight and can be easily installed with chains and S-hooks. How Do Hanging Baffles Work? Acoustic baffles don’t just hang there and look pretty — they substantially boost sound quality. You’re a lot more likely to hear an audience clap at the end of a concert performance with hanging baffles in the room, and you’ll be a lot less likely to leave a concert due to a pounding headache. But how do hanging baffles work, exactly? First, let’s talk about sound waves and sound reflections. Imagine someone on a stage in an auditorium, and you’re in the audience. The person on the stage begins singing about cows jumping over the moon. When sound exits their body, they cause air particles to vibrate. These air particles cause other nearby air particles to vibrate, forming a sound wave. The sound wave will travel through the air from the singing person and eventually reach your eardrums. Your eardrums will detect the sound wave when the vibrating particles cause them to vibrate. You’ve just experienced being a sound-absorbing material. Sound waves have two choices — they can be absorbed or reflected. Soft materials absorb sound, while hard materials reflect sound. Imagine a large, empty room with no furniture or wall hangings. If someone were to speak in such a room, the sound of their voice would reflect off of the bare walls, floor and ceiling, which would cause either an echo or a reverberation. Echoes and reverberations are not the same. Generally speaking, reverberation is the effect of many echoes merging from different directions and meeting your ears at the same time. Reverberation often occurs in small rooms, and it’s not always bad. Musicians, for example, desire some degree of reverberation when they perform because it helps amplify sound and can make music sound pleasantly warm and full. However, too much of it can make it hard to understand what someone is saying. Echoes, on the other hand, do not enhance or alter the sound. Instead, an echo is merely a repeated sound that has bounced off a hard surface. It occurs when a sound reaches the ear slightly longer than a reverberation and is perceived as a second sound rather than the lengthening of a sound. Have you ever yelled down an empty hallway? If so, you may have heard yourself yelling back at you — the perfect example of an echo. Echos do not improve the sound in a room — especially in large rooms with a crowd. For example, imagine listening to a speech in a room full of echoes. This situation is where hanging baffles can drop down from the ceiling and improve the acoustics. Soft surfaces absorb sound and reflect only a small amount of sound it. Hanging baffles, which are covered in soft acoustic fabric or made of foam, are designed to absorb sound waves rather than reflecting them. When placed at sound reflection points in a large room, a hanging baffle reduces sound reflections like echoes and reverberations. Once a sound-absorbing baffle soaks up sound waves, the vibrating particles turn into a small amount of heat energy and eventually dissipate. Since some reverberation is desired in a music studio, for example, you wouldn’t want to completely cover the walls and ceilings in acoustic panels, or the music would sound flat. Acoustics involves figuring out the right balance between absorption and reflection for the highest-quality sound. However, finding that balance and the best location for sound panels can be baffling. No worries — reach out to one of our soundproofing experts for help. What Are the Benefits of Hanging Baffles? In a spacious room where sound and communication are udderly crucial, hanging baffles are a must-have. Without panels to absorb sound, watching an orchestra play could be unpleasant, especially if someone makes a mistake. Likewise, imagine watching a movie in a theater without soft materials to absorb some of the sound effects — overwhelming! Increased safety: How in the world do hanging baffles increase safety? If you’re working in an industrial environment and can’t make out what your coworker is saying due to noise, you could miss some important safety information. But that’s just one example. Noise itself can be dangerous. According to the journal Environmental Health Perspectives, about 30 million American workers are exposed to hazardous noise levels on the job in industries such as manufacturing. Hanging baffles help reduce harmful noise and improve communication — a plus in any work environment when it comes to safety. Boosted productivity: Workers and students may have a hard time concentrating in a loud, distracting environment. Noise generated within the classroom, for example, has been shown to reduce memory, motivation and reading ability for school children. Baffles absorb distracting background noise, reverberation and echos so that workers can understand what customers say on the phone and students can focus on their assignments. Reduced stress: Who wants to listen to incoherent noise while at work, school or the gym? Noise pollution, which can be found anywhere there’s disruptive noise — including the workplace or at home — can trigger your body’s stress response. Fortunately, hanging baffles can make any place more comfortable and stress-free. Improved speech: The point of listening to a speaker in a large auditorium is to understand what they’re saying. Without acoustic baffles in place, you might just hear echoes and a lot of complaining. Hanging baffles ensure that you get the message clearly without having to strain your ears. Added aesthetic quality: Hanging baffles, like many of the ones we offer at Soundproof Cow, are available in a wide variety of colors. You can customize the fabric too, and add artwork, logos or any designs you wish. This way, a sound baffle can also increase brand awareness or simply add pops of color to a room. If you’d rather have sound-absorbing materials that blend into your decor, you can also choose baffles in barely noticeable neutral tones. We can help you find a solution to match any decor. Better music: As mentioned above, some reverberation enhances a musical performance, but too much can lead to frustration. Hanging baffles help create the perfect balance between reflection and absorption for an enjoyable musical experience. Easy installation: Hanging baffles are an easy soundproofing solution — no special construction skills required. They’re lightweight panels that hang from the ceiling by chains and hooks. Wall-mounted baffles can attach to the wall as easily as hanging a picture. Did we mention that this quality makes them portable too? 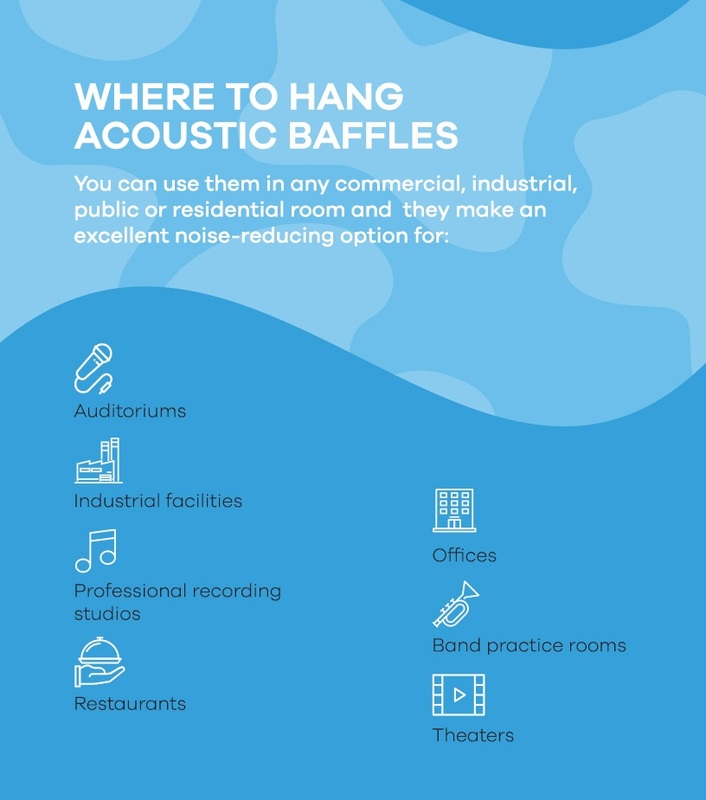 Cost-effectiveness: Because hanging baffles feature a simple design and aren’t labor intensive, they’re a cost-effective way to eliminate echoes and unwanted noise. If you’re on a budget and want a fast solution to noise, consider hanging baffles. Versatility: Hanging baffles are highly versatile, easy to move and perfect for rooms with limited wall space. They take advantage of unused ceiling space and can be used to improve the sound in oddly shaped rooms without having to modify walls. Safety and durability: All of our hanging baffles are made from high-quality, heavy-duty materials for long-lasting results. They’re also made with Class-A-rated materials that allow them to pass most fire code requirements. The bottom line is that you can hang acoustic baffles anywhere you want to reduce echo and improve sound quality. We offer three different categories of hanging baffles at Soundproof Cow. Each one offers unique features, and you’re sure to find a baffle that mooves you. If not, give us a shout. We’ll gladly help you find the right solution. Our Udderly Quiet™ Acoustic Baffle 200 series features two acoustic glass mineral wool panels wrapped in an attractive fabric covering. You can choose barely there colors like Wheat and Eggshell or any color of your choice. Our Udderly Quiet™ baffles are also designed with the environment in mind. The glass mineral wool is made with 50 percent recycled post-consumer materials and 50 percent sand, and the fabric cotton is 100 percent recycled polyester. These baffles are certified as a low emitting product by the Greenguard Environmental Institute. These simple, ceiling-hung baffles are 2 inches thick and available in sizes up to 3 feet by 6 feet. They’re dipped into a resin hardener that protects their edges and increases their durability. Installation is easy, and each Udderly Quiet™ Acoustic Baffle comes with eye hooks adhered between the panels. With acoustic fabric that has an open weave, sound waves travel through the material right into the sound-absorbing core. Our Udderly Quiet™ baffles make an excellent all-purpose hanging baffle that seamlessly blends in with any decor. No one will notice the reason the acoustics are great in your room or building. For a larger solution with an aluminum frame, consider our Udderly Quiet™ Acoustic Baffle 250 series. The aluminum frame improves baffle stability and allows for a larger build. The 250 series is available in sizes up to 4 feet by 8 feet and may be the ideal choice for an expansive room like an auditorium or gymnasium. 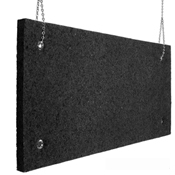 For a high-performing and cost-effective acoustic baffle, consider our Echo Absorber™ Hanging Baffle. 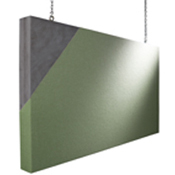 An Echo Absorber™ baffle is a lightweight, thermally bonded acoustic panel made from 80 percent recycled cotton. Free of volatile organic compounds (VOCs), our Echo Absorber™ baffles are easy on budgets and on the environment. They’re also resistant to mold, mildew and fungi and tough against tears and impact. An Echo Absorber™ baffler is a go-to choice for someone with a tight budget in need of a quality sound-absorbing baffle. Echo Absorber™ baffles also offer great flexibility and can easily be hung from ceilings or wrapped around poles, columns or curvy walls. Available in soothing neutral colors such as white, gray and charcoal, these baffles naturally fit into any room. You can choose 1-inch thick sheets in sizes 2 feet by 4 feet or 4 feet by 4 feet, or sheets with a 2-inch thickness measuring 2 feet by 4 feet. Make sure you get what you need and order 2-inch thick Echo Absorber™ baffles in cases of three or eight, or 1-inch baffles in cases of six or fourteen. Our Udderly Quiet™ Anechoic Hanging Baffles were specially engineered to handle loud environments and absorb echoes and noise. With 3 inches of acoustic foam and an open-celled surface, these baffles outperform other panels when it comes to soaking up noise. Their unique 3D pattern lends visual interest to a space too, giving workers and guests another reason to smile. If you need a foam baffle for a high-heat environment or where sparks tend to fly, opt for our Udderly Quiet™ Class A™ Anechoic Hanging Baffle. Made of melamine foam, these flame-resistant baffles are perfect for use in industrial or manufacturing facilities, or anywhere crowds of people get together. The Class A™ baffles are available in white or gray. If strict fire code regulations are less of a concern, but you’d still like high-performing sound absorption, you might choose our regular Udderly Quiet™ Anechoic Hanging Baffles. Made of professional-grade acoustic polyurethane foam, these baffles retain their vibrant color much longer than other foams. Available in Charcoal, Aqua, Chocolate and Pumpkin, these colorful and effective sound baffles make for fun, affordable noise control in even the most challenging situations. Our Udderly Quiet™ baffles look great in gyms, music studios and just about anywhere else someone might need serious sound-absorbing power. Have you herd about our commitment to customer satisfaction? You’ll see that every product in our store gets great reviews. That’s not a coincidence. At Soundproof Cow, we make sure to carry materials that exceed our clients’ expectations. We understand that choosing the right soundproofing product can be a tough decision, but we’re here to make it as stress-free as possible. You can begin the process with our free acoustic analysis of your space. We’ll identify the best products for your needs and your budget. Don’t worry about getting too technical for us either. Our Account Managers regularly work with engineers and architects to figure out the appropriate materials to meet certain specifications. That said, we’re also happy to work with homeowners and DIYers investing in acoustic improvement and noise control. In addition, you’ll notice that the majority of our products take advantage of easy installation methods and have low maintenance requirements. This setup helps to ensure satisfaction now and in the long-run. 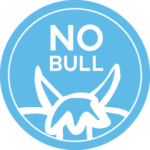 With top-performing products, big discount items — like our No Bull selections — and our customer satisfaction guarantee, you can’t find a better resource for acoustic support than Soundproofcow.com. Contact us to begin your project today!